By Hunsbloger -- DT doesn't applaud new market highs because we're all about finding the best cars for the least amount of money, not seeing who can set the new market high for a decent car! We're outraged by careless overspenders who ruin it for the rest of us, causing us to watch formerly desirable and nearly affordable cars escalate away in prices that are the result of frenzied old men who are bidding to impress their girlfriends rather than buying a car for the right price. The effects of these wacked-out outlier sales take a while for the market to shake off because we'll now have to wait as all the overspending speculators come into the market with their refurbished flips. 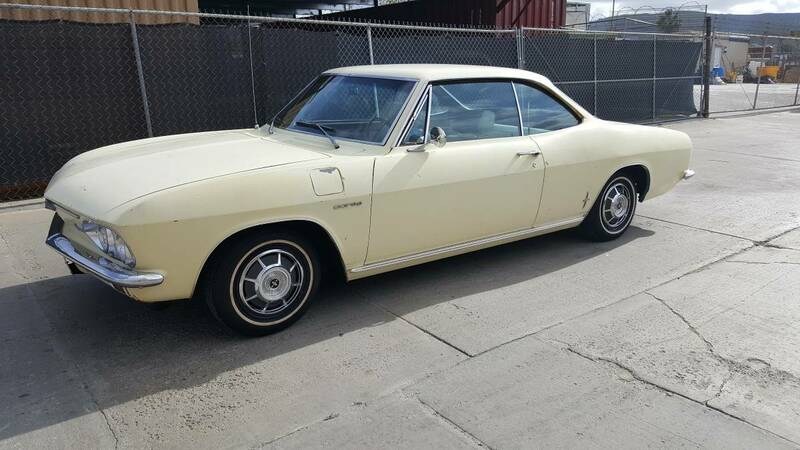 While aircooled Porsches, anything Ferrari, and certain BMWs have skyrocketed to silly prices, we will seek out the good stuff for a reasonable budget, like this 1966 Chevrolet Corvair offered for $6,500 in San Diego, CA via craigslist. This car looks like it SHOULD be more than $6500 given its appearance. Only obvious warts appear to be the broken left brake lens. Can't tell from the text if he has replaced brakes and cleaned fuel system or if that's what's needed. The license plate has a Mar Red/Sticker which means it may have some fees due if it wasn't non-op. That plate is about 20 years old which coincides with the 'in storage' for 20 years. The interior looks really good for its age as do most of the chrome/aluminum bits of trim. 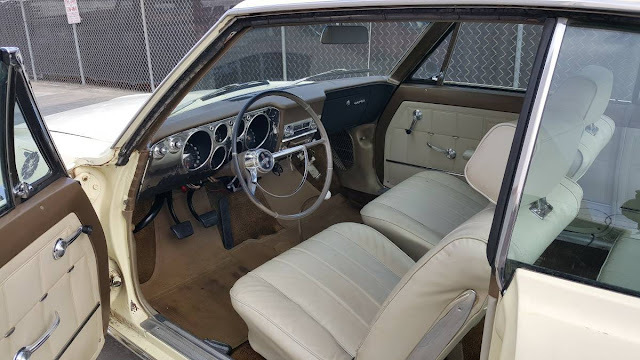 Those headrests are pretty rare for any '66 Chevy and it indicates this was a pretty high option car but the steering whell is standard Monza style. (May want to ask someone more knowledgeable that me about that) Radio appears to be a mono AM/FM which was pretty cool for '66. Yellow/Cream is not the most manly of color combos for a turbo, but it would make a good sleeper. I don't know why these always whisper to me. 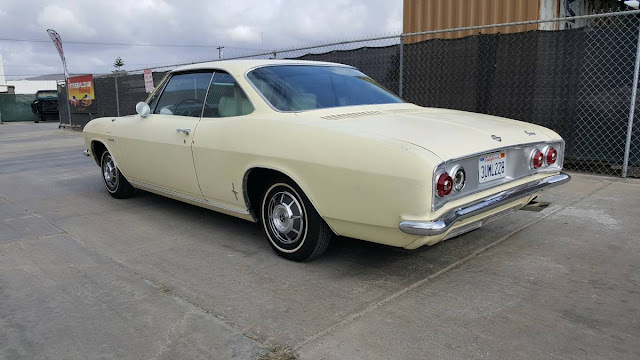 Not long ago I was lookin for a Murican vert and kept the Corvair as my safety choice, should nothing else tickle my fancy. Two months of (casual) searching later and I realized that the cars I bookmarked were almost all Corvairs. For how cheap they are I'm a little surprised by the fact that I never see them. Ever. The body styling is so nice on these. One of the cars that is so great looking and inexpensive. Another one on the list for me is the karmann ghia. These have grown on me with age. This particular color combo, however, leaves much to be desired. Once you're on that path, you start searching for some bigger wheels to fill out those wheel wells. Now, you're in, but its going your direction. I guess all parts have gone up..looks like those replacement lenses are now up to just over $20 each. Gotta love a car that you can find parts for in less than a minute on the internet! I wonder if one could go partial gulf livery and maintain an overall coherent package with the beige. This car is back for sale on Craigslist. Still no title. Seems fishy to me.